If you’ve heard Israel’s Prime Minister Benjamin Netanyahu’s speech in Congress, you may have noted his reference to the Holiday of Purim. Purim is celebrated today, March 5th, by Jews around the globe. So what, you may wonder, is the cause for the celebration? The Holiday of Purim is observed every year during the Jewish month of Adar, four weeks before Passover. Purim is plural for the Hebrew word Pur, which means “lot”, and refers to the evil plot concocted by wicked Haman the Aggagite, a vizier in the Persian Empire under King Ahasuerus (Xerxes I). Haman, a vicious anti-Semite, drew lots to determine the best day in which to eliminate the Jewish people. The story of Purim has been recorded in the biblical Scroll of Esther, which relates the miracle of the reversal of fortune experienced by the Jews of Persia (modern day Iran). Queen Esther, who was assisted and guided by her cousin and guardian, Mordechai the Jew, presented her people’s case to the king. The young Queen proved to Ahasuerus that Haman’s plot to annihilate the Jewish people (a plot that was approved by the king) was not in the best interest of the Persian Empire. Esther then convinced the king to allow the Jews of Persia to defend themselves and to fight back. And so the Jewish people survived. Celebration of the Holiday of Purim is manifested in its traditional customs: Hearing the Scroll of Esther (the Megillah) read in the synagogue; gifting foods and delicacies to family, friends and neighbors; giving charity to the poor; and, eating a festive meal. Another inextricable part of Purim, perhaps the most entertaining and fun, is the tradition that is primarily but not exclusively carried out by kids: Dressing in a myriad of colorful costumes. Masquerading on Purim commemorates the fact that the miracle of Purim was not obvious to all, as to the unobservant the unfolding of events seemed natural (i.e. Queen Esther’s marriage and her influence on her husband, the powerful king of Persia). It is also time to think of Passover, just four weeks from today! 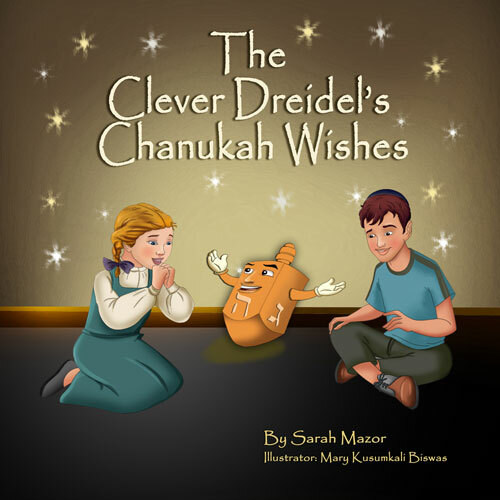 Check out MazorBook’s Passover Picture Book!